Councilman Michael Jackson unsuccessfully attempted to block the initial approval of the Downtown Special Improvement District budget on Tuesday night. Jackson, who has been a critic of the district over the past year, suggested tabling the introduction of the $304,000 budget for 2017. He wanted the approval on the budget delayed until he met with Sheri Ferreira, director of the Downtown Special Improvement District. He said he wanted an “opportunity to meet with the director as she promised” prior to voting on the introduced budget. Business administrator Nellie Pou said without approval of the measure the city will not be able to prepare tax bills for the downtown properties that fall within the boundaries of the district. Each property pays an extra assessment to support the district which promotes the historic downtown Paterson through events and provides services to area businesses. It has a staff that collects garbage from the downtown and provides additional security during the holiday shopping season. Ferreira on Tuesday, Dec. 6, 2016 told Jackson she would schedule a meeting to discuss his concerns. Jackson’s remarks last night suggested she did not keep her end of the promise. Ferreira said she contacted Jackson on Dec. 7, 2016 to setup the promised meeting. She left a voice message, but did not hear back from Jackson. Ferreira also left a message with Jackson’s city council office secretary, she said on Wednesday morning. This message was also not returned. She also sent Jackson, who represents the 1st Ward where the district is located, an email with dates for a possible meeting, she said. Jackson denied receiving her two phones calls, but acknowledged he received her email. Mayor Jose “Joey” Torres on Tuesday evening agreed to intervene to facilitate a meeting between the director and the councilman. Torres said he will reach out to Ferreira to ensure a meeting occurs. Ferreira said she called the council office again this morning to verify Jackson’s email address. Jackson was alone in opposing the district’s introduced budget. The council passed the measure in a 7-1 vote. He said he has been receiving complaints from property owners about tax increases. He also said the area within the district is no better than other part of the city. Property owners in the downtown area have witnessed their taxes double as a result of the commercial shift that occurred in last year’s property revaluation. A number of those building owners protested at council meetings late last year about high taxes. Most blamed the city for raising their taxes and not the special improvement district. Ferreira said as a result of the tax hike experienced by property owners, the district last year cut its budget by $76,000. This year, the district is maintaining last year’s reduced budget, according to documents submitted to the city. The district’s board is mostly made up of downtown property owners. Those owners can at any time vote down the district’s budget and effectively disband their voluntary association to tax themselves in order to encourage commerce and improve the city’s commercial core. Jackson’s colleagues have pointed out to him that the district is an autonomous entity that has its own board when he asked to review the amount of money the district is spending on personnel. The 1st Ward councilman and the business administrator for the district Jamie Dykes do not have a good relationship due to a loan the latter helped secure for him for work at the Jacksonville Restaurant on Grand Street some years ago. Jackson defaulted on the $140,000 loan from the Paterson Restoration Corporation (PRC) when the Great Recession devastated his high end restaurant. He blamed Dykes and others for the default stating that the PRC promised him the funds in matter of weeks, but the fund disbursement took months instead. Jackson tried to block the district’s budget last year as well. 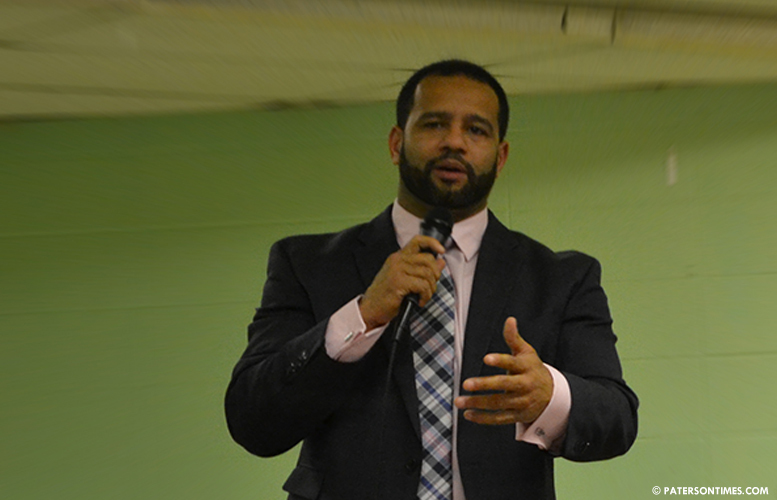 Some have said Jackson’s criticism of the district stems from his enmity towards Dykes. The council also approved the introduced budget for the Bunker Hill Special Improvement District budget. This district’s budget is $171,500 for 2017, according to city records. The council has scheduled a public hearing on both budgets for February 14th, 2017. This report was updated on Dec. 21, 2016 at 3:13 p.m.